OMG! Before being used as an abbreviation for “laughing out loud” or “lots of laughs”, LOL was used in the 1960’s to refer to “little old ladies”! To date, LOL is used so often in our communications that it has been officially added to dictionaries of the English language! Given that the use of LOL is so widespread and commonplace, it seems reasonable to surmise that a lot of laughing, either out loud or silently, very frequently takes place. Funny enough, it so happens that laughter is a universal hardwired response for individuals of all cultures to stimuli (either internal or external) that incite certain rhythmical contractions of the diaphragm. At about 4 months of age, the cheerful chime of a baby’s first giggle will resound in households and, as though it were somehow “contagious”, genuine smiles then spread from one person to the next. Over time, babies seem to develop the ability to be comedic and engage in actions that result in adults/caregivers to LOL. Realistically, neither babies nor toddlers undergo rigorous training to aid in the flourishing of their funny bone, so where does this ability come from? Does it have an expiry date on it or does it mature and ripen with age? It depends… How absurd! Similar to when adults take a second or third glance at something that seems “off” or is unfamiliar in some way, infants also stare for longer periods of time at stimuli that violate the standards they are creating than they do at more familiar stimuli. For example, infants more often see adults putting pots and pans on top of a stove than on top of their head or in front of their face; while the former is not really stare-worthy (as it is consistent with what they have seen before), it is likely for the latter to be stared at for a longer time while they try to make some semblance of sense out of what is happening. When an event is incongruous with newly developing “norms”, it just might be absolutely hilarious to the young one! Pair this with humorous cues from the social context or persons previously associated with humour and further uproarious and contagious laughter ensues. Even as adults, we laugh at the mismatch or absurdity of what has been presented in words or forms; said another way, when we “get the punch line” of a joke (understand how impossible or absurd the premise of a joke actually is), our diaphragms contract and produce a distinctive sound; in plain terms: we LOL. Yes. Seriously. For young and old alike, being thrown off guard by seeing or hearing (or smelling or tasting or touching) something other than what is usually experienced often results in laughter, or at least a smirk. Even when jokes “get old” (lose their novelty or absurdity), it is as though there is an unspoken expectation to acknowledge the humorous component of the remark. Think of when you text “hahaha” rather than LOL. Such a subtle difference that carries so much meaning! Perhaps you have experienced instances whereby an “outdated” and familiar joke became hilarious again when told by someone else or was told in a different setting or in a silly vocal tone. So humour does not have an expiry date per se; it simply fluctuates in its’ maturity. To a large extent, it is as though it is difficult to not feel good (in your body) when you genuinely smile or laugh as well as feel good on an emotional level. Is it possible that LOL could be a remedy for the aches and pains we all feel at times during our day to day lives? Perhaps you have heard and/or are familiar with the common adage “laughter is the best medicine”. Mental health professionals and physicians alike have supported such a claim. Jordan Friedman, author of The Stress Manager’s Manual, has advocated for the widespread benefits of regular “doses” of the powerful medicine called laughter: “Humor and laughter are potent and plentiful stress reducers and spirit boosters because they simultaneously help us physically and emotionally.” Laughter has biopsychosocial (biological, psychological, and social) benefits?! How is that even possible? Let’s check this out. On the physical level, laughter releases endorphins, which are the body’s natural painkillers and can strengthen the functioning of the immune system, decrease muscle tension, and increase pain tolerance. In fact, laughter has even been shown to have analgesic properties and cleanse the body of the stress hormone cortisol. Cognitively and emotionally, humour and laughter have the effect of breaking negative thought cycles, which could subsequently reduce feelings of sadness, anxiety, and frustration. Psychologist Alice M. Isen has noted that “any joke that helps you feel good is likely to help you think more broadly and creatively”; said another way, having and expressing a sense of humour can help us to listen and learn with an open mind and open heart rather than with rigid and inflexible fixed mindset. LOL helps to foster good relationships and ease social settings often fraught with tension (such as awkward situations at work or school). Jordan Friedman notes that: “when we laugh with others, we feel more connected with them.” Recall the mysterious “contagion” of genuine smiles and giggles from youngsters: perhaps we can still do that as adults! At any time, each of us has the potential to offer those around us/our communities/the other passengers of the bus we’re on the simple, refreshing, and health promoting treatment regimen of a smile or of laughter. The numerous benefits of laughter also apply to intimate relationships: John Gottman, marriage and relationship psychologist, has found that “marriages are only as good as (the couples’) history of laughing together.” Being able to laugh with each other in good times and bad enhances both the relationship itself, as well as the overall health of each partner! All in all, there is a plethora of evidence that good natured humour and laughter really can be just what the doctor orders. 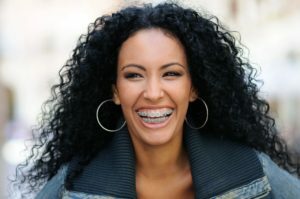 When considering all of these benefits of laughter, an important distinction needs to be made: laughing with others or oneself is not the same as laughing at others or oneself. Here is another very subtle yet significant difference that carries great meaning. Insulting or demeaning or derogatory quips or poking fun at someone or oneself with a nasty intent are not the kind of humour that is being referred to; these kinds of “humour” hurt more than it help. Adding humour and laughter to your daily life is intended to illuminate what would otherwise be gloomy or dreary events and to broaden perspectives; misusing humour could effectuate longstanding and easily triggered wounds. When in doubt as to whether someone is hurt by the kind of humour you are using, ask and/or clarify what you meant or are saying. When appropriate, assertively and genuinely apologize. What is perceived as funny or humorous to one person could be perceived as mocking and hurtful to another. Further, sometimes laughter could be inappropriate: think of when a friend tells you about a tragic loss in his/her life. Laughing at such a situation is not likely to be received well. Rather than lightening up a melancholy situation, laughing at such news could be hurtful and damage both the relationship and each person involved. This might sound like common sense but I deem it important enough to include here. The only helpful tip I have related to the subject matter of this article comes more in the form of a challenge for you rather than a list of practical tips: laugh. At nothing in particular or in response to a joke or funny situation that you recall. Just laugh. Laugh at the absurdity of laughing for no reason. ROTFL (roll on the floor laughing) if you want! I am not prescribing any specific duration or intensity or pattern: you choose! Note what that was like for you: did you notice any difference, however slight, in what or how you were thinking and/or feeling? How do you feel in your body now? How do you feel emotionally? We do not necessarily need a “reason” for our mirth… For those who do, what better reason to laugh than to have fun and just feel good! I simply want to tell you that I am very new to blogging and site-building and seriously enjoyed this web site. Very likely I’m going to bookmark your site . You actually come with wonderful articles. With thanks for sharing your website page. Thank you for all your valuable labor on this web page. My niece delights in working on investigations and it’s really simple to grasp why. All of us notice all of the compelling means you create simple steps through your web blog and as well encourage participation from some others on the area while my princess is without question studying a whole lot. Take pleasure in the rest of the year. Your carrying out a very good job. I¡¦m now not certain where you’re getting your information, but great topic. I needs to spend a while learning much more or understanding more. Thank you for excellent info I was in search of this information for my mission. Magnificent website. Plenty of useful information here. I am sending it to a few buddies ans additionally sharing in delicious. And of course, thanks in your effort! It’s perfect time to make some plans for the future and it is time to be happy. I have read this post and if I could I desire to suggest you some interesting things or suggestions. Maybe you could write next articles referring to this article. I want to read more things about it! Nice post. I was checking continuously this blog and I’m impressed! Very helpful info particularly the last part :) I care for such information much. I was looking for this certain information for a long time. Thank you and best of luck. you’re in reality a good webmaster. The website loading pace is amazing. It sort of feels that you are doing any distinctive trick. Also, The contents are masterwork. you have performed a excellent task on this subject! Good ¡V I should certainly pronounce, impressed with your web site. I had no trouble navigating through all the tabs and related information ended up being truly easy to do to access. I recently found what I hoped for before you know it at all. Reasonably unusual. Is likely to appreciate it for those who add forums or anything, site theme . a tones way for your customer to communicate. Nice task.. Useful info. Lucky me I found your site accidentally, and I am stunned why this accident didn’t came about earlier! I bookmarked it. I am really impressed with your writing skills and also with the layout on your weblog. Is this a paid theme or did you modify it yourself? Either way keep up the nice quality writing, it’s rare to see a nice blog like this one nowadays..
magnificent points altogether, you just won a new reader. What may you recommend in regards to your put up that you just made a few days ago? Any positive? Thanks for any other fantastic post. Where else may just anybody get that kind of info in such an ideal manner of writing? I’ve a presentation subsequent week, and I am on the search for such information. Thank you for another informative blog. Where else may I get that kind of information written in such a perfect approach? I have a mission that I’m simply now running on, and I’ve been at the look out for such information. Good website! I really love how it is simple on my eyes and the data are well written. I’m wondering how I might be notified when a new post has been made. I have subscribed to your RSS feed which must do the trick! Have a nice day! Generally I don’t learn post on blogs, however I wish to say that this write-up very pressured me to try and do it! Your writing style has been amazed me. Thanks, very great post. I actually wanted to make a quick comment to thank you for these fabulous pointers you are posting at this website. My time consuming internet investigation has at the end been honored with reliable facts and techniques to talk about with my friends and classmates. I ‘d express that most of us website visitors actually are extremely endowed to exist in a good site with so many brilliant individuals with helpful principles. I feel somewhat happy to have encountered your entire website and look forward to really more excellent moments reading here. Thanks a lot once more for all the details. You could definitely see your skills within the paintings you write. The world hopes for more passionate writers such as you who are not afraid to say how they believe. At all times follow your heart. Excellent website. Plenty of useful information here. I¡¦m sending it to some buddies ans additionally sharing in delicious. And certainly, thanks in your effort! Simply desire to say your article is as astounding. The clarity in your post is just nice and i could assume you are an expert on this subject. Well with your permission let me to grab your feed to keep updated with forthcoming post. Thanks a million and please keep up the gratifying work. Ӏ’ll right away ցrasp your rss as I can not to find youｙr email subscription link or e-newsletter service. I¡¦ve been exploring for a little bit for any high quality articles or blog posts in this sort of area . Exploring in Yahoo I ultimately stumbled upon this website. Reading this info So i am glad to show that I have an incredibly good uncanny feeling I found out just what I needed. I such a lot no doubt will make sure to do not omit this web site and give it a look regularly. Hi my friend! I want to say that this article is awesome, nice written and come with approximately all significant infos. I would like to look extra posts like this . I wanted to post you a very little note so as to say thanks a lot the moment again for the breathtaking pointers you’ve shown on this site. It was really shockingly generous with people like you to convey unhampered all that a lot of folks could have sold as an e-book in order to make some money for themselves, and in particular given that you could possibly have tried it in case you wanted. Those concepts additionally served like a good way to know that other people online have the identical interest just like my very own to grasp great deal more related to this matter. Certainly there are numerous more pleasurable occasions in the future for people who read carefully your blog. I’m commenting to let you understand of the exceptional discovery my cousin’s girl obtained reading through your web site. She mastered several issues, including what it’s like to possess a marvelous coaching style to make certain people just comprehend several grueling subject areas. You truly exceeded readers’ expectations. Thanks for giving the priceless, trustworthy, edifying and in addition fun thoughts on your topic to Kate. I¡¦ll immediately seize your rss feed as I can’t in finding your email subscription hyperlink or newsletter service. Do you’ve any? Kindly let me recognize so that I may just subscribe. Thanks. I am now not positive the place you are getting your info, but good topic. I needs to spend some time studying more or working out more. Thank you for excellent info I used to be looking for this info for my mission. What i do not understood is in reality how you are no longer really a lot more well-favored than you may be now. You’re so intelligent. You realize therefore considerably relating to this matter, produced me for my part consider it from so many numerous angles. Its like men and women don’t seem to be fascinated unless it¡¦s one thing to do with Woman gaga! Your individual stuffs nice. All the time deal with it up! A lot of thanks for each of your effort on this web page. Betty delights in working on investigations and it is obvious why. Many of us learn all relating to the lively method you make important information by means of your website and as well recommend response from other ones about this concept while our favorite daughter is certainly learning so much. Take advantage of the remaining portion of the year. You’re the one carrying out a tremendous job. What i don’t understood is in truth how you are not really a lot more neatly-preferred than you might be right now. You’re very intelligent. You already know thus considerably in relation to this matter, produced me for my part imagine it from numerous varied angles. Its like women and men are not interested until it¡¦s something to accomplish with Lady gaga! Your personal stuffs great. All the time take care of it up! Hiya, I am really glad I have found this info. Nowadays bloggers publish just about gossips and web and this is really irritating. A good site with interesting content, this is what I need. Thank you for keeping this website, I will be visiting it. Do you do newsletters? Can’t find it. I have read a few just right stuff here. Certainly worth bookmarking for revisiting. I wonder how so much attempt you set to create any such excellent informative site. fantastic issues altogether, you just won a new reader. What might you suggest in regards to your post that you simply made some days ago? Any sure? I do believe all the ideas you’ve introduced in your post. They’re very convincing and will definitely work. Still, the posts are very short for starters. May you please lengthen them a little from subsequent time? Thank you for the post. It¡¦s in reality a great and helpful piece of information. I am satisfied that you just shared this helpful information with us. Please keep us up to date like this. Thanks for sharing. I just want to say I’m newbie to weblog and actually savored your blog site. Most likely I’m likely to bookmark your website . You certainly come with superb articles and reviews. Appreciate it for revealing your webpage. There is clearly a bunch to know about this. I assume you made various good points in features also. I not to mention my pals have been checking out the nice tips and hints located on the website then then came up with an awful suspicion I had not thanked the web site owner for those tips. These men ended up passionate to read through all of them and have truly been making the most of those things. Appreciation for really being so helpful as well as for obtaining these kinds of superb subject areas millions of individuals are really desperate to discover. Our honest apologies for not expressing appreciation to you earlier. you are truly a excellent webmaster. The web site loading pace is incredible. It seems that you are doing any distinctive trick. In addition, The contents are masterwork. you’ve done a great process on this topic! fantastic points altogether, you just received a new reader. What would you suggest about your publish that you simply made a few days ago? Any sure? Hi there very nice web site!! Guy .. Excellent .. Superb .. I will bookmark your website and take the feeds additionally¡KI’m happy to find numerous useful information here within the submit, we’d like develop more strategies in this regard, thanks for sharing. . . . . .
What i do not realize is if truth be told how you are not really a lot more well-favored than you may be right now. You’re so intelligent. You understand thus considerably in the case of this topic, made me in my opinion imagine it from a lot of various angles. Its like women and men are not involved until it is one thing to accomplish with Lady gaga! Your own stuffs nice. At all times deal with it up! I do believe all the ideas you’ve introduced for your post. They’re very convincing and can definitely work. Nonetheless, the posts are too quick for novices. May just you please lengthen them a little from next time? Thanks for the post. I keep listening to the news bulletin talk about getting free online grant applications so I have been looking around for the most excellent site to get one. Could you advise me please, where could i find some? Hiya, I am really glad I have found this information. Nowadays bloggers publish just about gossips and internet and this is actually irritating. A good site with interesting content, this is what I need. Thank you for keeping this site, I will be visiting it. Do you do newsletters? Can’t find it. Hello there, You have done a great job. I will certainly digg it and personally recommend to my friends. I’m confident they’ll be benefited from this site. Hi my family member! I want to say that this article is awesome, great written and include almost all significant infos. I¡¦d like to peer extra posts like this . certainly like your web site however you need to take a look at the spelling on several of your posts. A number of them are rife with spelling problems and I in finding it very bothersome to tell the truth however I¡¦ll definitely come back again. I was just searching for this info for a while. After 6 hours of continuous Googleing, finally I got it in your web site. I wonder what is the lack of Google strategy that do not rank this type of informative sites in top of the list. Generally the top web sites are full of garbage. Can I just say what a reduction to search out someone who truly knows what theyre speaking about on the internet. You undoubtedly know the best way to carry a problem to light and make it important. Extra individuals must learn this and understand this facet of the story. I cant imagine youre no more well-liked because you positively have the gift. I found your blog using Google and I must say this is one of the most informative blogs I have read in a while. I will make sure I come back to read your future posts. I love what you guys tend to be up too. This sort of clever work and coverage! Keep up the good works guys I’ve added you guys to my own blogroll. Wonderful web site. Plenty of useful information here. I am sending it to some friends ans also sharing in delicious. And obviously, thanks for your effort! I would like to voice my gratitude for your kindness in support of people that should have assistance with this important area. Your personal dedication to getting the solution along became exceedingly productive and have truly empowered women like me to get to their pursuits. Your important useful information indicates this much a person like me and far more to my office colleagues. Regards; from everyone of us. Hello.This post was extremely fascinating, particularly because I was browsing for thoughts on this topic last week. Very well written article. It will be useful to anybody who usess it, as well as yours truly :). Keep up the good work – for sure i will check out more posts. know the market and defeat challenges effectively. Additionally, in-house SEO specialists can focus on a solitary site to produce the best outcomes. So now strikes me as a very good time to consider how we are able to come to know mindfulness even more deeply.